A stunning ocean view while you swing through the forest. 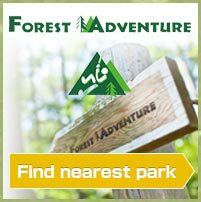 A day in the trees at Forest Adventure Onna is all about fun, challenging yourself and unleashing your inner monkey! There is 9 jungle zip trip courses and 1 adventure course with zip lines, suspended bridges and our adrenaline rushing Tarzan swing! Come out and experience a unique adventure that's perfect for family and friends to enjoy together, and discover the stunning ocean view while you swinging through the forest! Fresh from the USA, Archery TAG is Forest Adventure Onna's newest activity. Archery Tag® is played similar to dodgeball with a bows and patented foam-tipped arrows. This exciting, action-packed game offers the ultimate family-friendly experience that engages the everyone. Don't miss out on Tag... the game you never outgrow! * Please note that there are limited parking space. Junior high school student and under must be accompanied by supervising adult(+18). One adult (18+) may supervise up to tree children. High school student can do the course unaccompanied. Adult must still supervise from the ground. * Priority for customers with reservations. If you come without a reservation, may make it impossible for you to do the course. We don’t want you to be disappointed, so please make a reservation! * 1 Group rate applies to bookings of 8 or more participants. * 2 Groups of 15 or more may reserve the course for their exclusive use. Prior booking is required, please contact us for details. ONE PARTICIPANTS EACH GROUP MUST SIGN A WAIVER BEFORE PLAYING. Parents or guardian must sign a waiver for all 18 and younger. Please wear appropriate footwear with soles with good grips. No sandals or slip-off shoes. Possible cancelation due to wether. 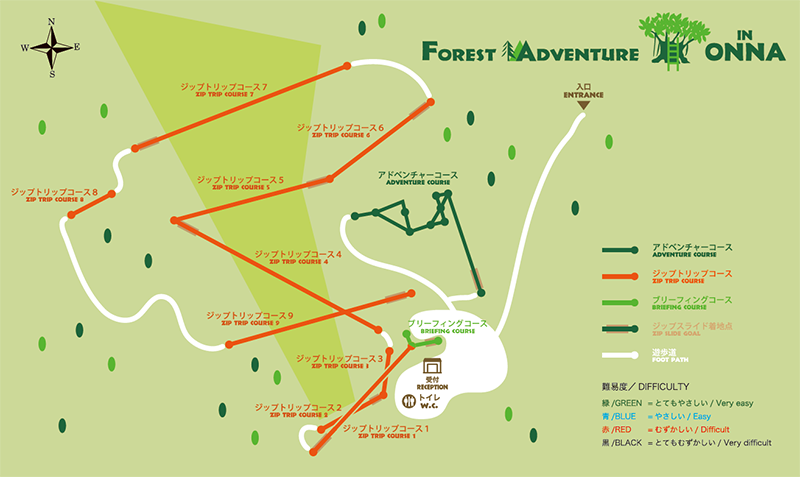 * ¥500 discount on Archery Tag if you join Forest Adventure today. * Our setup is maximum 15 players to play at one time. On average the Adventure course takes approx. 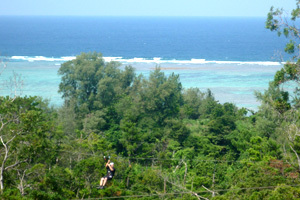 1.5 – 2.5 hours, and the Canopy course takes approx. 1 - 1.5 hours. This includes the time required for your safety briefing. Also, it all depends on how speedy you are, and how busy the course is. Sorry, There are no changing facilities or lockers at this park. Is there any play equipment for small children? There is play equipment at this park, to entertain children who are too small for the course. Is there a food stand? You can only buy drink at this park. Is there a shuttle bus to the park? Sorry, There is no shuttle bus service to this park.